Looking for a great business to service the doors in your commercial business? Call Highgate Door Repair today. Located at 560 Barry Street in New York City, Highgate Door Repair has been the number one stop for door repair services in New York City. Specialist in Commercial Glass Door Repairs, New York For years our customer having been coming to us with all their commercial door repair needs. We specialize in glass door repair for commercial as well as residential residents. Our office is open Monday through Friday from 9am to 6pm. If you or someone you know is looking for a great door repair service in New York City, look no further than Highgate Door Repair. Visit us today and check out the number one door repair service in town. Tragedy can strike at any moment. You never know exactly when you will find yourself in need of glass door repair for you commercial business in New-York. 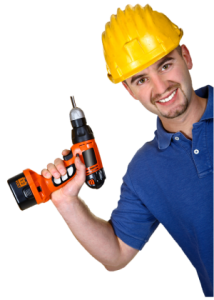 That is why Highgate Door Repair has a 24 hour a day 7 day a week emergency door repair service for your home as well as your business. 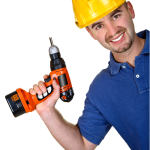 Should you ever need to fix any damage to the doors in your home or office we will send one of our professionally trained staff to fix the damage and get your home or office back in order. Don’t let unexpected damage to your home or business leave you vulnerable, call Highgate Door Repair today to figure out more about our 24 hour emergency door repair service. Commercial Glass Door Repair NY- Chances are if you own a commercial business you are dealing with glass doors. Although glass doors can add an aesthetic appeal to your business space they are one of the most damage prone types of doors available. What may just seem like a small crack in the glass can quickly lead to more damage and become quite unsafe. Our staff at Highgate Door Repair are just the folks you need to help you repair any damage that may happen to the glass doors in your commercial business or even your home. Residential Glass Door Repair NY- Just as with commercial businesses, Highgate Door Repair can fix any problems you may be having with the glass doors in your home. Don’t let a faulty glass door leave you and your loved ones unprotected from burglary and unwanted guests. Our staff will come to your home and work directly with you to make sure that all the doors in your home are providing the necessary protection they were meant to provide. Free Glass Door Estimates in New-York- Achieving the right look for as well as effect of the glass doors in your home can be a tough burden to bare. With so many option you may find it hard deciding which direction to take. Factor in cost and you can quickly become overwhelmed with what to do. Thankfully Highgate Door Repair has got you covered. Call us today or sign up online to get a free estimate so that you ca have all the information you need to make the right decision for you and your home. 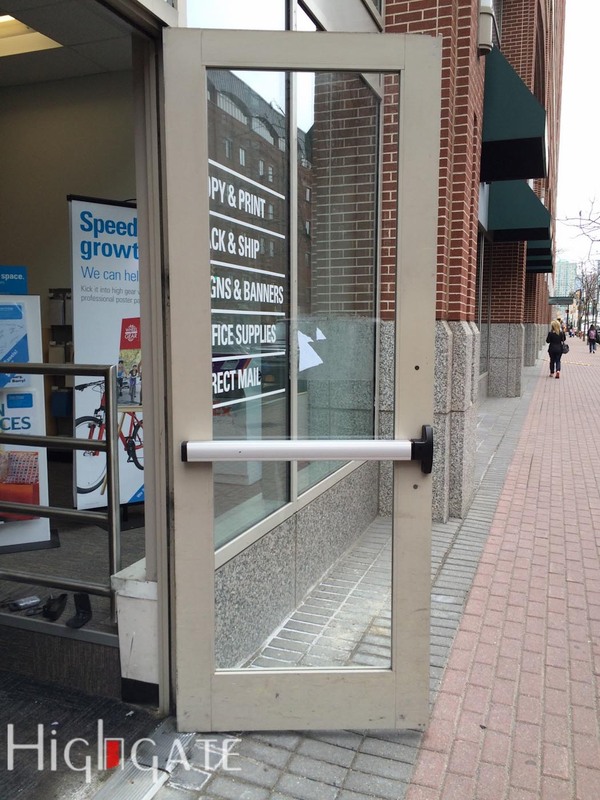 Highgate Commercial Glass Door Repair is happy to provide our community with a wide variety of door repair services. From simple door repairs, to installations, at Highgate we can do it all. Visit our website at www.highgatedoors.com to get all the latest information on our many services as well as information on how to sign up for your free estimate. You can also view our blog with information about our services or check out some of our customer testimonials. Check out our online gallery to see some of our work or to get fresh new ideas for your home or business. Visit us today and see why we are the number one option when it comes to all your home or commercial business door repair needs. 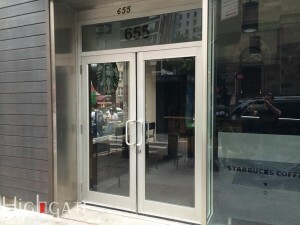 At Highgate Commercial Glass Door repairs in New-York city our number one mission is to provide our customer with the quality service they deserve. We take pride in the relationship we have built with our customers during our years of business. When you choose Highgate Door Repair you can be sure that the service you pay for is the service you get. One of the most important things we strive for at Highgate is to provide our customers with quality service at an affordable price. When you visit our competitor you can expect to pay an arm and a leg for their services. At Highgate Glass Door Repairs we know the importance of giving our customers an affordable price when it comes to servicing the doors in your home or commercial business. When you visit Highgate Door Repair we do not treat you like you are a customer we treat you like the family and friends that you are. Visit our website today at www.highgatedoors.com to see how you can take advantage of our first time customer special offer. For first time customers to Highgate Door Repair we offer a 15% discount on all Highgate services. 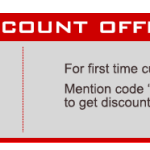 All you have to do is mention our promo code “WEBOFFER” to take advantage of this special offer today.